As you plan your family get-togethers over the holiday season, consider how these events may affect a senior, for whom the familiarity of a daily routine provides much-needed comfort. 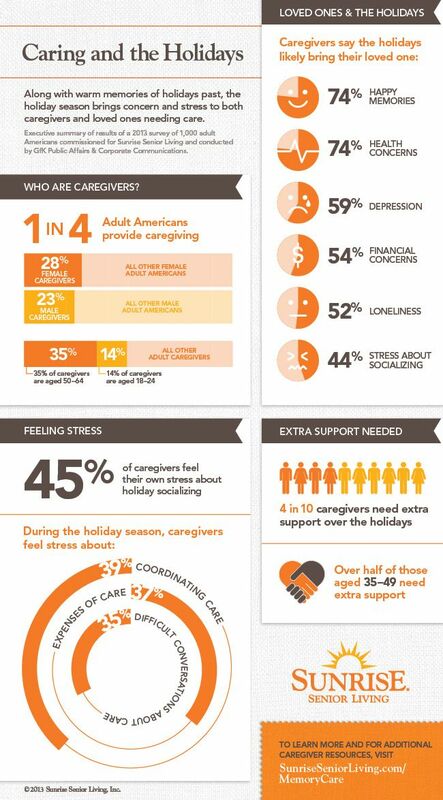 And for caregivers, the holidays add more complexity to an already packed schedule. Use this guide to recognize your own feelings during the holidays and the emotions attached to this season for your loved one. Planning ahead can ensure everyone enjoys the whole holiday season at their own comfort levels.